What do you use to organize? Here are a few of my favorite gadgets. 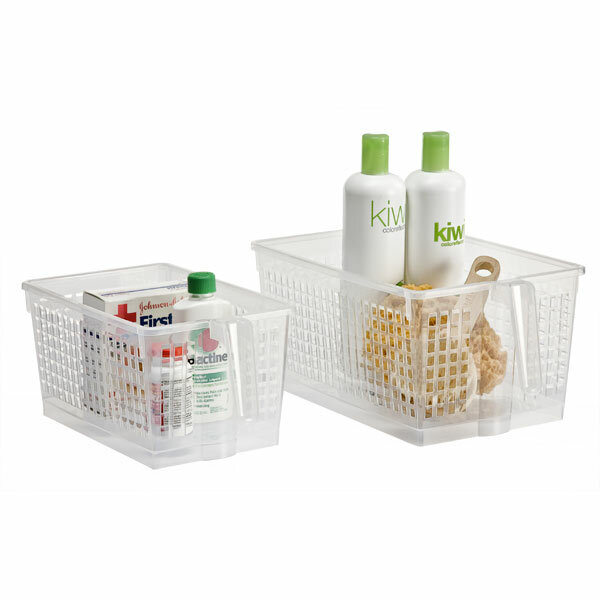 I am often asked about my favorite products for organizing. Here are a few that I use with clients regularly and really love. Handled baskets from the Container Store. The handle makes it much easier to grab items off shelves for just about everybody. I like them for spices, medications or any group of small item that would be impossible to keep organized if it was all by itself on a high shelf. 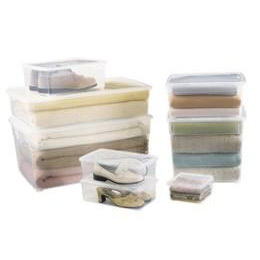 Clear bins from the Container Store. These bins are more square than most so they fill the space better with less wasted room. I like clear so that you can see what you have as well as being easy to get more as you need them. Fashion colors are fun but it is almost impossible to get more when you need them. Label maker. I prefer the brother P-touch series for labelers. They are an easy labeler for just about anyone to use and they take TZ style tapes which are easy to find and come in a 3 pack for less than $30 at Sam's. Freedom Filer is an excellent system for home filing. It creates a customized system that tells you when to throw papers out. Most people are hesitant to toss paper since they feel they may need it someday. Freedom Filer gives you the confidence to toss. You can purchase Freedom Filer HERE or contact me for a copy. ShelfGenie GlideOut shelves are an excellent way to maximize usable space in existing kitchen cabinets as well as help folk get to items that may be out of reach or difficult to access. It is a fact of life, it is difficult to access there is much less chance that an item will ever be used or kept neatly.